The Jumps are well and truly underway, which means we are not too far away from the festive period, and indeed the turn of the year. With 17 weeks until the Cheltenham Festival - the highlight of the Jumps campaign, what racing can we look forward to in the coming weeks, on the road to March? The Tingle Creek meeting – held at Sandown in early December, brings together some of the best 2m chasers around, and is a key trial for the Queen Mother Champion Chase at the Cheltenham Festival. The likes of Sire de Grugy, Dodging Bullets and Sprinter Sacre all went onto win the feature race on Day 2 at the Festival having won the Tingle Creek the year before. The event was first run back in 1979, and it was named in honour of the great Tingle Creek, a popular National Hunt racehorse in the 1970s, who had a particularly good record in races at Sandown Park. The Tingle Creek Chase has been a Grade I race since 1994, having been previously run as a handicap. The Tingle Creek meeting begins to get the real racing fans in the festive spirit, with the hats, gloves and scarves coming out the draw, and will later shiver in the cold with a hot cup of tea. Hours after the festivity hype is over, the same cannot be said for the fun and spirit. That all continues through to Boxing Day - arguably the busiest day of racing in the calendar, which has racing up and down the country. 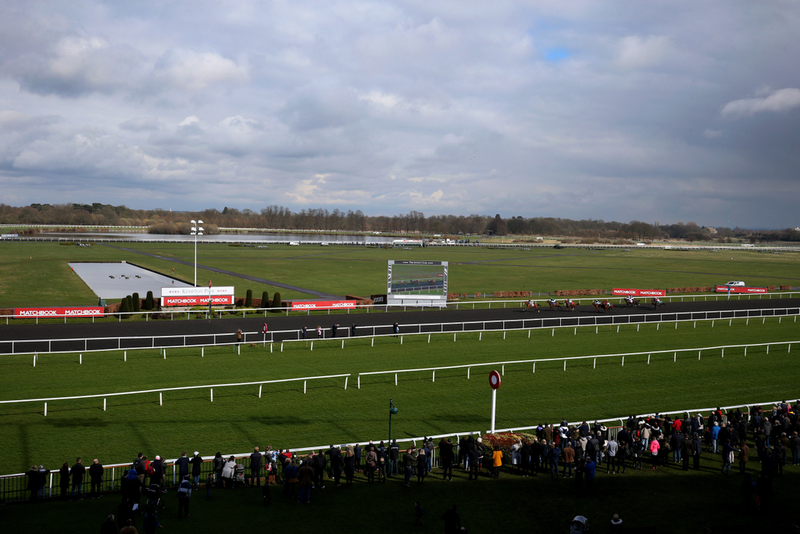 The pick of the action comes from Kempton Park, and the two-day King George meeting. The meeting contains the second leg of the Jumps Triple Crown (King George); the first being the Betfair Chase at Haydock in November, along with the Kauto Star Novices Chase and the Christmas Hurdle. This is the first opportunity for the best of England to clash with the best of Ireland, although recently they have opted to stay at home and compete at Punchestown in similar events. The feature – the King George has featured many subsequent Gold Cup winners, and is key to shaping the market ahead of the festival. The January meeting at HQ is the where the action really heats up, but unfortunately the same cannot be said for the weather. The event at Presbury Park features several key trials ahead of the festival, which is eight weeks later, such as Novice Hurdles, Novice Chases, and several big race handicaps. A couple of years ago saw the battle between two of the best in the business in the Cotswold Chase – a key indicator for the upcoming Gold Cup. Many Clouds defeated the upcoming younger rival – Thistlecrack, but unfortunately it came at a cost, as the Grand National Winner of 2015 broke down after the race. It was a massive loss for the sport, but an incredible story with Oliver Sherwood sharing his emotional thoughts after the race. It was a rare tussle between two great chasers, which you do not get many of prior to the Festival.